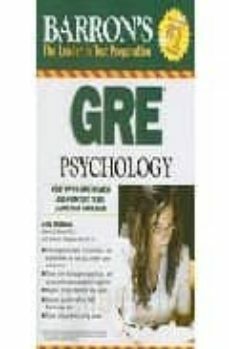 Updated to reflect the most recent GRE Psychology exams, this manual presents six full-length model tests, with all questions answered and explained. Two of the bookas six tests are diagnostics, designed to pinpoint studentsa weak areas that require more intensive study. The manualas extra features include a brush-up subject review and scoring grids designed to enable students to measure their performance within each subject area.